I hope that all are well rested and have enjoyed this summer and have had a chance to get away and relax? However, as you all know the garden is a demanding beast and I’m afraid won’t stop for anyone! This summer has seen some rather hot and balmy days and also the odd thunder storm, playing havoc with watering duties. Only just the other day I was watering tubs and containers in the rain! It just wasn’t enough to rely on mother nature; I had to boost the supplies. That aside, other than watering and liquid feeding on a regular basis, there are just a few other jobs that shouldn’t be left too long. This is the perfect time to look through the myriad of seed and bulb catalogues streaming through the post for colour ideas this autumn and importantly early next year. Don’t just look out for decorative interest, which is important, but sometimes so is disease resistance especially for any edibles. With perennials I’m also looking for those plants that are self-supporting – I just don’t want to deal with link stakes or canes everywhere. 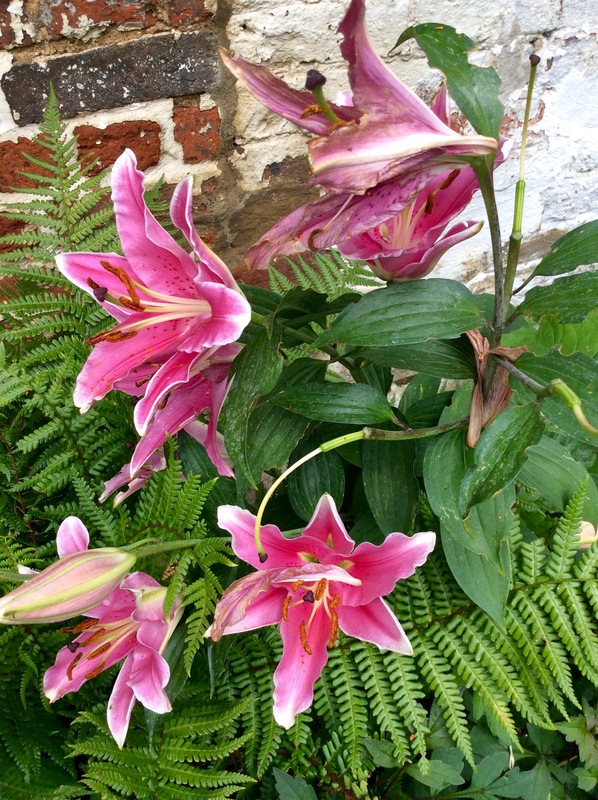 One of the things I love to do is grow on lilies in pots and secrete them in the bed and borders as a form of successional bedding. They’re ideal for giving height, instant colour and scent by the bucket load, however, once blooms have faded, they need to be removed and popped at the back of the garden to die down naturally; don’t forget to water though and feed to enrich the bulb for next years display. Unfortunately you now have gaps…what’s to do? Why not plant up slightly taller pots with perennials such as Rudbeckia, Echinacea and or varieties of grasses. All of these flower well, but also improve with age…don’t we all! Rudbeckia and Echinacea have fab flowers, but have even better autumn and winter colour with their superb deep black seed heads – very striking. 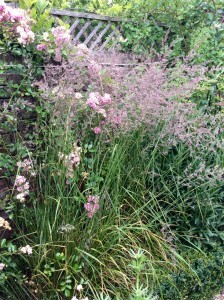 Grasses, on the other hand, produce flowers that are almost everlasting plus have foliage that colours well as it ages (they don’t need to be cut down until February next year). Doing this will extend the season of interest and keep your garden a talking point with friends and family. Start to collect seed from plants. Recently I collected spent flower stalks of Aquilegia vulgaris (columbine). Harvest them carefully, because as soon as you touch the stems the seed falls. Cut flower stems down to the base of plant or to an outward facing leaf and turn carefully into a large paper bag… and let nature take its own course. Once seed has dropped sieve to separate any coatings etc from the seed. Once complete seed can be stored in a clean envelope, labelled and dated, and stored in a frost free dry place. Believe it or not I use the fridge, as long as its around 5°C (41°F), as this will ensure that viability is retained for as long as possible. Use as and when required. Aquilegia can be sown fresh in seed trays and left in cold frames or kept away from over exposed areas. Sometimes they germinate early, if so keep them moist, NOT saturated, and allow them to grow on for at least ½ year. This will enable a more stocky plant to develop. Pot up and grow on for another ½ year before setting out into the ground. Failing this you can also sow in February. Plants will be ready to be move on early/ late summer. I can’t believe it another year has gone by and we have started another academic year at Writtle University College – notice the name change?